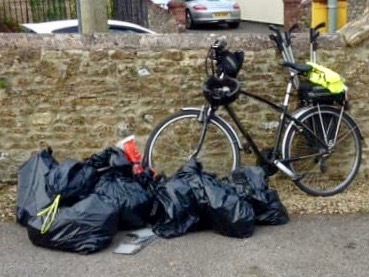 Chapmanslade residents turned out in force on Saturday 23 March to clear the streets of litter that had accumulated in the village over the winter months. 20 people, including an eight month old baby (! ), collected enough litter to fill the equivalent of three wheelie bins. There’s a great community spirit in Chapmanslade. We are very proud of our village and we wanted to show passing motorists that it’s just not on to throw their litter out of their car windows. The event was a “Village Voice” initiative, part of a parish-wide project that follows a questionnaire completed by 358 villagers and the preparation of a Parish Plan which is currently in its final stages before being formally adopted by the Parish Council. 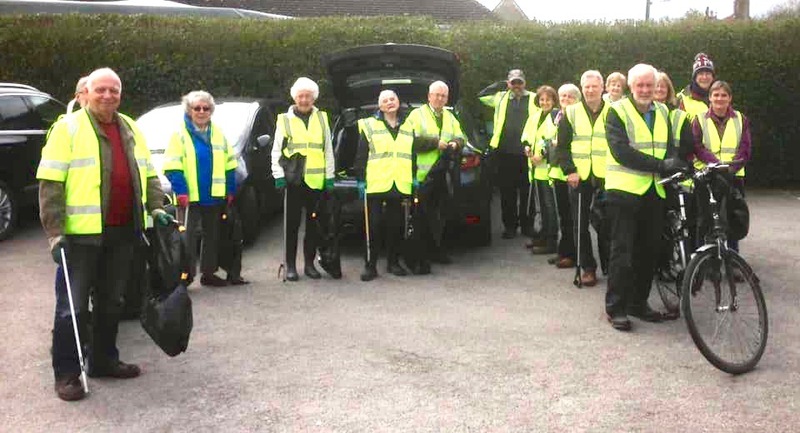 photographs – the litter pickers assemble in the car park of The Three Horseshoes before setting off to collect litter. Below, just some of the bags of litter collected along the High Street.